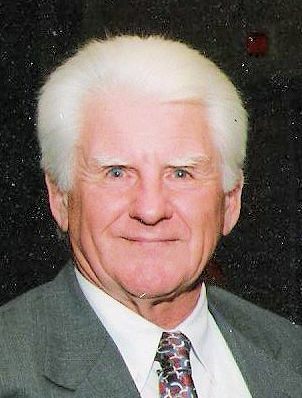 BARRON, Ronald P., of Abington, formerly of Randolph, passed away unexpectedly, after a brief illness, on February 5, 2019, at the age of 82. Born in Boston, Ronald grew up in Field’s Corner and eventually he and his late wife Mary moved to Randolph where they raised their family. He was a retired carpenter with Union Local #67. He was the family handyman and had remodeled lots of homes in So. Boston and for family and friends. He had a great sense of humor and enjoyed a good game of cribbage. As a member of the Boston Branch of the Comhaltas Ceoltoin Eireann and a set dance teacher at the So. Shore Ceili Club in Quincy, his passion for Irish music and Ceili Irish dancing was on full display. Ronald had a zest for life, his family and friends and he will be sorely missed by all who were blessed to have known him. Ronald was the husband of the late Mary P. (Loftus) Barron. Loving father of Patricia Callahan and her husband Edward of Bridgewater, Paul Barron of Norton, Jeanne Pantano and her husband Lawrence of Bridgewater, Ronald Barron, Jr. and his wife Paula of Holbrook and the late Kathleen Kelly and Kevin Barron. Devoted brother of Harold Barron of MN, James Barron of Stoughton, Leo Barron of Malden, Allen Barron of MD, Patrick Barron of CO, Marie Burns of Winthrop and the late Robert, William and Kenneth Barron. Dear “Papa” to Matthew, Meaghan, Karissa, Hunter, Daniel, Alexandra, Joseph, Kevin, Patrick, Katlyn, William and Haley. Loving companion of Elaine Stanley of Barnstable. Also survived by many nieces and nephews. Relatives and friends are respectfully invited to attend visiting hours on Tuesday, February 12th from 4:00 – 8:00 PM in St. Bernadette Church, 1031 No. Main St., Randolph. A Funeral Mass will be celebrated on Wednesday, February 13th at 11:00 AM in St. Bernadette Church, Randolph. Burial will follow in Blue Hill Cemetery, Braintree. Arrangements under the care of the Cartwright Funeral Home, 419 No. Main St., Randolph.